Thursday 4:00 p.m. – 8:00 p.m.
Friday 9:00-a.m. – 5:00 p.m.
Saturday 9:00 – a.m. – 12:00 p.m. The opportunities are endless at the Syracuse Public Library! Read a book, work on the computer, or enjoy coffee in our new Heritage Room. The Syracuse Public Library offers use of all books and collections, as well as computer usage, for free. Use of these shall be confined to library hours. We have a book for everyone – young and old! Having a meeting or event? The Syracuse Public Library has a meeting room that will accommodate 72 people. A projector and kitchen are also available for use. Click here for cost and policies. Contact the library for scheduling and fees. Does the library have what you want? Click Here to see what we have in stock. The Syracuse Library Foundation continues to accept donations for those items and projects that are not a part of the City’s library budget. For more information about the foundation, go to www.syracuselibrary.org . This site is sponsored by the Syracuse Library Foundation. Pre-School Storytime: This program is for children 3-6 years of age. Pre-school storytime begins at 10:00 a.m. and dismisses at 10:45. Our fall session is the second week of September through October. Our spring session is March through April. We meet every Wednesday morning for a time of reading, finger plays, and fun! If school is closed on a day when the Storytime is scheduled, Storytime is closed as well. Registration is not required if child attended fall session. If you are new to this program, contact Sue at 402-269-2336. Summer Reading Program: The Summer Reading Program is targeted for children K-5th grade. The summer 2013 program will be on Tuesday July 2, 9, 16, and 23rd. We will meet in the afternoon from 1:00 – 2:30 @ the Public Library. Children will be introduced to new books, storytellers, magicians, and exotic animals. Registration is required. To register e-mail Sue Antes at sueantes@yahoo.com or call the library at 402-269-2336. 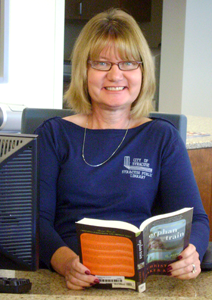 Book Club for Adults: The library offers an adult book club that meets the first Tuesday of each month at 1:00 p.m. The club meets in the meeting room of the library. For more information, contact Sue at 402-269-2336. Syracuse Friends of The Library: This group consists of community members who believe that a good library is essential to the economic well being of our community. They help promote and publicize library services, activities, Children’s reading programs, and offer special guest speakers to the adult community. The Friends group meets on the first Tuesday of each month at 2:00 p.m. at the meeting room of the library. Everyone is welcome!!! 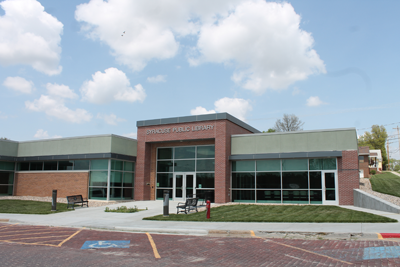 Any district 27 taxpayer and his dependents shall be allowed the privilege checking out all materials from the public library, upon registering for a borrower’s card. A library card is non-transferable. The use of the library or its services, may be denied temporarily for due cause. Due cause includes failure to return books or other materials, failure to pay penalties, and objectionable conduct on library premises as determined by the librarian.